Oct29 Comments Off on Would you buy these synthetic diamonds? Would you buy these synthetic diamonds? As the saying goes, diamonds are a girl’s best friend. And you can’t really blame her. A diamond is the epitome of a precious stone, renowned for its clean cut and crystal-clear quality that glimmers in the light. Diamonds are prized for their rarity, making them quite the generous and highly coveted gift. 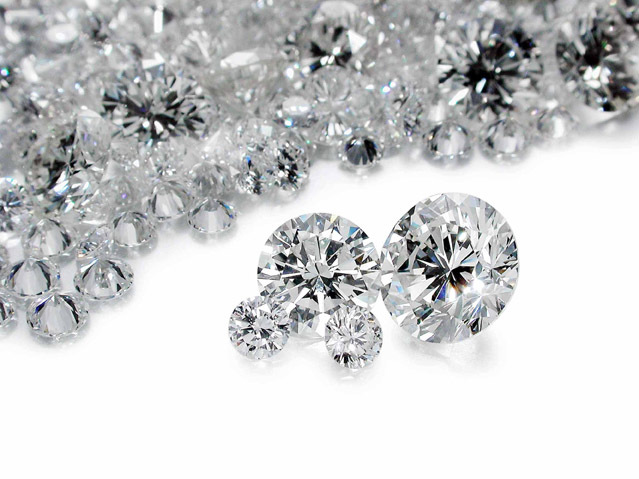 A major factor that makes diamonds so special is the fact that they are natural stones, found in mines, and require time and effort to find and produce. That being said, because diamond mining and cleaning is such a process, these stones, as we all know, come with a high price tag. Singapore’s IIa Technologies, however, is a firm that may be able to resolve this. IIa Technologies has a factory in which its workers are producing man-made diamonds that are chemically indistinguishable from natural ones. They argue that only an extremely skilled gemologist with expert equipment could discern a difference. Therefore, IIa Technologies is aiming its diamonds at the jewelry industry. Most of IIa Technologies’ synthetic diamonds are made with a carbon vapor deposit method. Such technology took years and millions of dollars to perfect, and now its process can be labeled, as I see it, as environmentally friendly. Whereas mining a natural diamond consists of removing a natural resource, this laboratory process creates diamonds and leaves the real ones in their places, ensuring that diamonds will always be around. As another bonus, because these diamonds are synthetic, their prices will be significantly less than that of a natural diamond. That’s right, ladies and gentlemen, you can now get your (synthetic) diamonds for 30 percent less than naturally mined ones — but would you want to? Sure, these lab-made stones may help you save some cash in your pocket, but I argue that part of the value of a natural diamond is the fact that it is natural; a mined diamond’s process is a major part of the package. IIa Technologies has developed equipment that replaces authenticity, which I find is a dangerous characteristic of today’s society. Take thank you notes, for example. There’s nothing like a classic hand-written thank you note to show appreciation. Such notes, however, are becoming harder and harder to come by, because with email, people can just type up a thank you note, click a send button and the recipient will receive it in no time. It’s a gesture with good intentions, but it cannot compare to a hand-written note. Similarly, synthetic diamonds undermine the genuine quality of a natural diamond, defeating its purpose in terms of value. I do understand the natural resource issue, and I respect that, but I’d almost rather there be less, or even no more, diamonds for retail than invest in a synthetic one myself. I know that technological developments are some of the biggest accomplishments of our generation, but I feel like the line has to be drawn somewhere, and synthetic diamonds are a good example as to why. Unlike IIa Technologies’ diamonds, natural ones are authentic — a quality that can never be replaced, recreated or reproduced.